The article was updated on Feb. 1 with more information about the federal review for using SAT or ACT as a state test. Undeterred by past opposition of the state superintendent and State Board of Education, Assemblyman Patrick O’Donnell is trying again to give high schools the option to swap the Smarter Balanced 11th-grade English language arts and math tests for either the SAT or the ACT. He said he has broad support of superintendents and school principals behind him. At a press conference Tuesday in Sacramento, O’Donnell, D-Long Beach, revealed Assembly Bill 1951, which would require the state superintendent to select one or both national college readiness exams as alternatives to give all high school juniors, starting in 2019-20. Districts would be reimbursed for the cost of administering the tests. 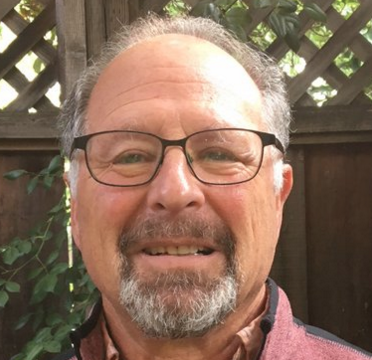 O’Donnell, a former government and geography teacher for the Paramount Unified School District, chairs the Assembly Education Committee. Last year, O’Donnell authored AB 1602, which would have created a pilot for Long Beach Unified and four other districts to give SAT or ACT in lieu of Smarter Balanced. After passing the Assembly Education Committee, the bill died in the Assembly Appropriations Committee, amid opposition from State Superintendent of Public Instruction Tom Torlakson and State Board of Education President Michael Kirst. Among their reasons, they questioned the reliability of using a college readiness test as a measure of students’ knowledge of the Common Core standards — a purpose of the Smarter Balanced assessment. Switching to SAT or ACT also would mean a loss of revenue for the Smarter Balanced Assessment Consortium, a states-run organization in which California is a governing member and the largest contributor. Christopher Steinhauser, superintendent of Long Beach Unified, the state’s third-largest district, sponsored AB 1602 and said last year that he would continue to pursue the idea after its defeat. He stood beside O’Donnell at Tuesday’s announcement, along with San Jose Unified Superintendent Nancy Albarrán and Sacramento City Unified Superintendent Jorge Aguilar. O’Donnell said that an “outpouring of support” after the defeat of last year’s bill led him to return with a bill opening up an alternative exam to all districts. 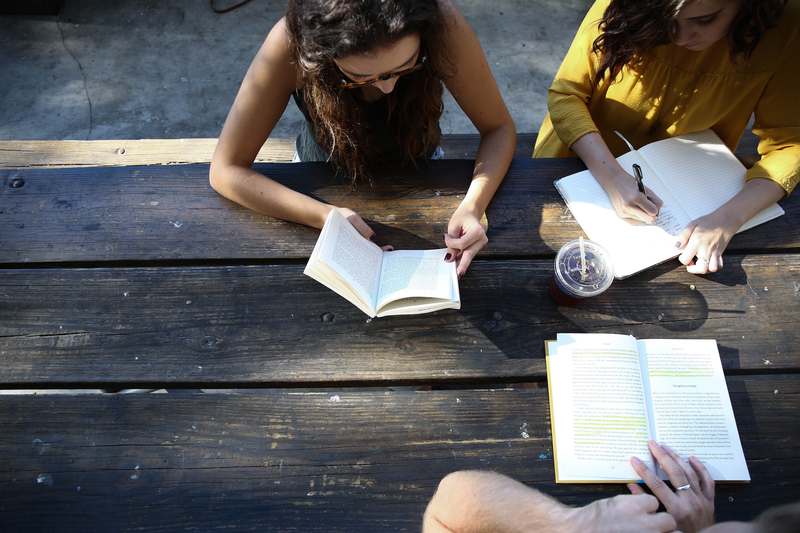 According to the College Board, which administers the SAT, this year 30 districts in California have given or will give the SAT during the day at no cost to students, in addition to the required Smarter Balanced assessment. Three years ago, only four school districts gave the SAT to all students. ACT, which is less popular than SAT in California, said students in 33 schools will take or took the test this year. O’Donnell expects many more districts would do so if they could choose a college readiness exam instead of Smarter Balanced, eliminating one more test students have to take in a high-stakes junior year already packed with Advance Placement exams and end-of-course tests. “There is a huge coalition of districts that want to do this for the right reasons,” Steinhauser said. Long Beach and other districts use the SAT and the Preliminary SAT, which the district starts giving in 8th grade, to motivate students to pursue college and to identify academic gaps early in high school. Superintendents say administering the SAT at no charge during the school day to all students has sharply increased the numbers of students who take it — especially among low-income students. In West Contra Costa Unified, where a third of students are English learners and three-quarters come from low-income families, the number of students taking the SAT doubled after the district started offering the test. Some districts additionally offer SAT prep classes and free online tutorials by Khan Academy, which is partnering with SAT. Long Beach enrolls all students in Khan Academy starting in 8th grade, and the district has become the fifth-largest Khan Academy user in the nation, according to Steinhauser. Because the district also offers SAT to students in their senior year, 190 additional students, mostly from low-income families, were able to raise their scores to be admitted to Cal State Long Beach, he said. O’Donnell said that reimbursing districts for giving the 11th-grade tests would be an incentive for other districts to adopt the resources Long Beach and other districts provide to help students prepare for and gain admission to college. California would join a handful of states that are taking advantage of a provision of the federal Every Student Succeeds Act allowing the use of alternative assessments for 11th grade. 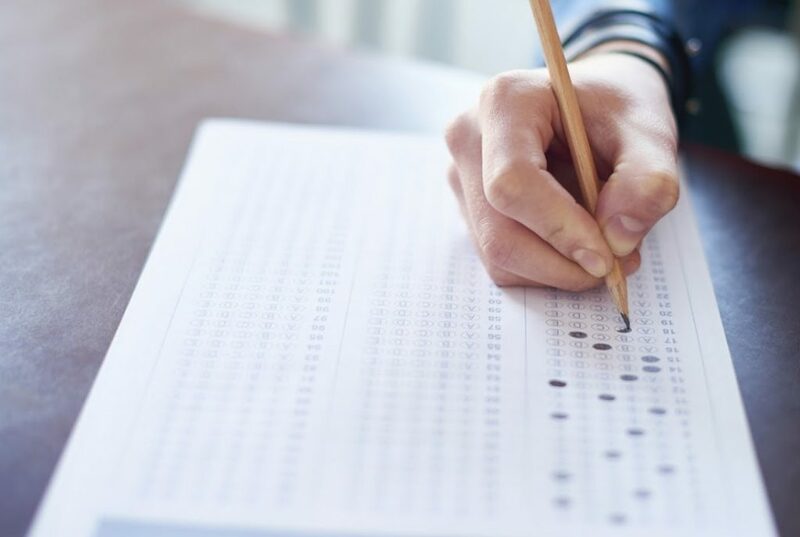 The College Board reports that five states that use the SAT as their 11th grade test — Delaware, Connecticut, Illinois, Maine, and Michigan — have received approval of their state Every Student Succeeds Act plan, with more states pursuing approval. States must now go through a separate federal review process to certify that the SAT or ACT aligns with their state standards and meets other testing criteria. The bill would allow the state superintendent to authorize the use of SAT, ACT or both after certifying that they provide the same accommodations as Smarter Balanced for English learners and students with disabilities and verifying that the tests are statistically reliable and aligned with the state’s Common Core math and English language arts standards. Depending on the bill’s final wording, federal approval may be problematic, said Scott Marion, executive director of the Center for Assessment and a nationally prominent expert in testing. California probably could get approval to switch to the SAT or give districts a choice between the SAT and Smarter Balanced, he said, but a choice of three tests, with the ACT, would complicate efforts to accurately compare test results among districts — especially if districts switched tests from year to year (see news story on Florida’s plan). Marion agreed with O’Donnell that high school students are more likely to take the SAT seriously, which is a factor in college admission, than a test with nothing personal at stake. He also questioned the value of an 11th-grade survey test, like Smarter Balanced math, given to students taking calculus and those taking remedial Algebra – all of whom probably are wondering why they’re taking it. We should be sticking with the SBAC and improving it to be the college entrance exam. Anxiety is critical for the students I work with. Please advise. O’Donnell’s bill is a step in the right direction, but there is language in ESSA for an even better option to provide an improved statewide testing program for high schools. It’s called the “Menu” option whereby students would take a test from a menu of approved tests to allow each student to take a test matched to their instructional pathway, rather than a one-size-fits-all test dictated at the state or district or even school level. This ESSA “Menu” option is being pursued by a number of other states, but so far has had minimal interest in California. It potentially might allow districts or schools to offer not only the SAT or ACT to replace Smarter Balanced grade 11 testing, but also targeted academic tests such as the International Bacculariate program end-of-year tests or even Advanced Placement ELA and Math tests. It even could allow career readiness tests such as ASVAB [Armed Services Vocational Aptitude Tests] to be on the menu for students on a career-readiness vocational pathway. This option clearly moves away from a one-size-fits-all model for statewide tests for high schools, to fit the varied curriculum and instruction pathways now being experienced by students. There are, to be sure, hurdles to be addressed for any Menu option program. Alignment to statewide content standards is one hurdle; for career readiness tests, clearly alignment to existing vocational standards would have to replace alignment to academic content standards. A big hurdle is constructing a way to aggregate scores across all students for school and district and subgroup accountability purposes. This hurdle might be addressed using some of the ideas incorporated in the multiple measures Career and College Indicator (CCI) now being included in California’s new LCAP Dashboard accountability system. I might note a menu for course selections already exists for California’s comprehensive high schools, with courses such as Art or Automobile Mechanics treated the same as courses such as Civics/Government or Advanced Algebra and contributing to GPA aggregate calculations. A psychometric system that establishes comparability across a system of (say) half a dozen options is feasible, provided policy makers at the state and federal levels are willing to accept comparability requirements that mirror curriculum and instruction flexibilities that currently exist for most California comprehensive high schools. O’Donnell might consider at least an authorization to investigate the ESSA “Menu” option for California’s statewide assessment program for high schools for inclusion in AB 1951. It likely will take a number of years to establish and initiate such a system, but it is an option worthy of consideration and investigation. I like the menu idea, Doug. It would seem straightforward, when we have four buckets of achievement, to make a set of four buckets that could apply to any of these tests. Another interesting possibility is that you could take the best score for each student – so the one who scored in bucket 2/4 on the math SBAC but 4/4 on the math SAT (or PSAT), why shouldn’t everyone know about the SAT score, and why wouldn’t we want to use the highest achieved SAT score for understanding the education provided by that high school? We are, after all, looking to see that the kids can get above a certain bar that says they learned some skills, and any evidence that they have learned those skills should be admissible, IMHO.